Every child deserves the right to smile. That is why Operation Smile's medical volunteers, donors and staff are committed to helping cleft patients and breaking down barriers to accessing surgery. Through education, training, medical diplomacy and advocacy, Operation Smile is working with government agencies, local health systems, non-profit organizations and like-minded partners toward increasing the delivery of surgical services worldwide. Information provided by Meara, J. G., & Greenberg, S. L. (2015). The Lancet Commission on Global Surgery Global surgery 2030: Evidence and solutions for achieving health, welfare and economic development. Surgery, 157(5), 834-835. Their patients are a testament to the importance of safe, well-timed, and effective surgical care. 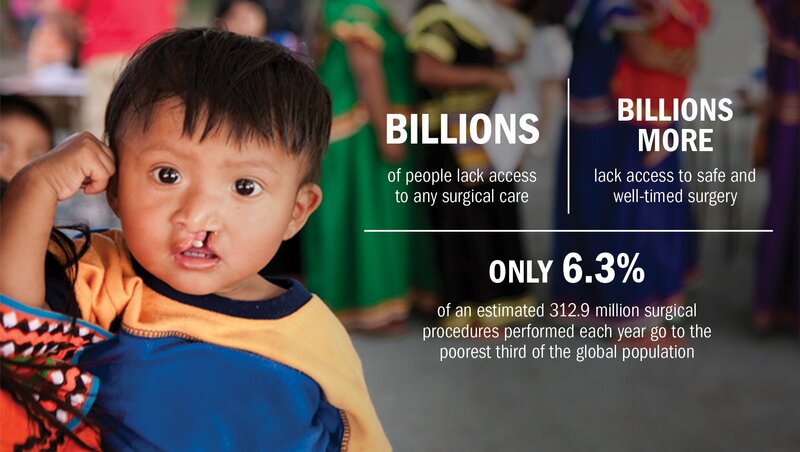 Inequity in access to corrective surgeries for cleft lip and cleft palate demonstrates both the lack of surgical services and the challenges health systems face in treating patients in many parts of the world. 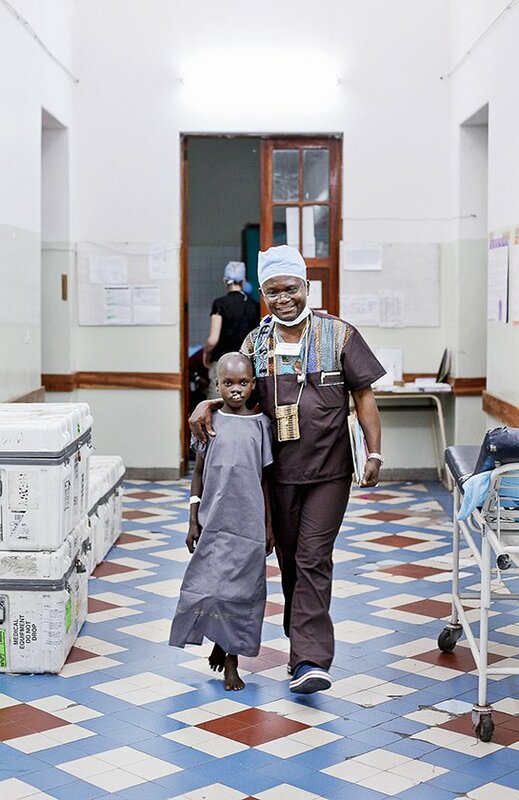 Having worked with thousands of children and their families, Operation Smile understands the economic, social and emotional burdens caused by untreated surgical conditions and advocates for patients and removing the barriers that prevent individuals from first seeking care and then receiving surgery. Without their network of thousands of credentialed medical volunteers and passionate non-medical volunteers, they wouldn’t be able to heal children and families around the world. That’s why Operation Smile, with the support of Johnson & Johnson, invests in educating medical professionals in resource-poor regions to increase the surgical capacity of local health systems. Their global network of volunteers provides patients with the highest quality of surgical care, changing the lives of both the volunteer and the patient. 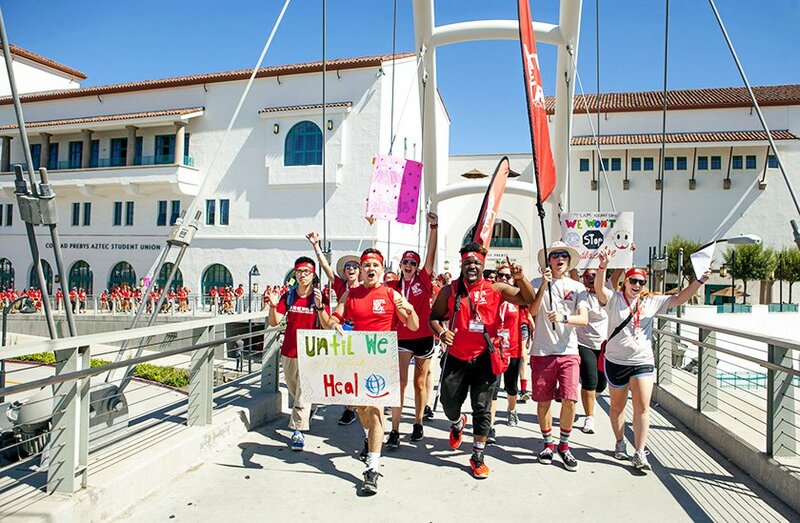 Below, one Operation Smile volunteer shares his perspective on global health. My name is Reginald Land, but you can call me Reggie. I have been a volunteer with Operation Smile for the past three years. I was so drawn to the organization because they stand for something so simple and so universally true: every child deserves the right to smile. When I learned that there are billions of people around the world who cannot see a doctor or receive surgery when they need it, I realized that I needed to do something to help. Operation Smile also realizes that this lack of access to safe surgery is a global problem and that is why they launched the Until We Heal campaign, a youth-driven initiative to bring attention to the global lack of access to the safe surgical care. 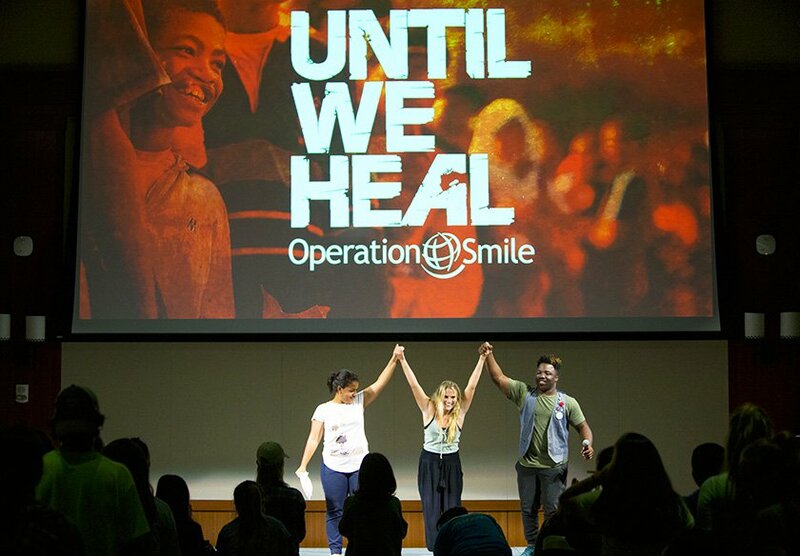 This July, I attended Operation Smile’s annual International Student Leadership Conference in San Diego, marking the global launch of the Until We Heal campaign. I joined 500 other Operation Smile volunteers from 29 different countries in an effort to raise awareness about the global lack of access to safe surgery. I participated in a hackathon where I worked with a team to identify one global health problem to solve over the course of five days with the goal of reducing global child mortality due to lack of access to health care. We also walked more than three miles from the conference site to a nearby hospital symbolizing the distance people around the world have to travel to receive safe surgical care. 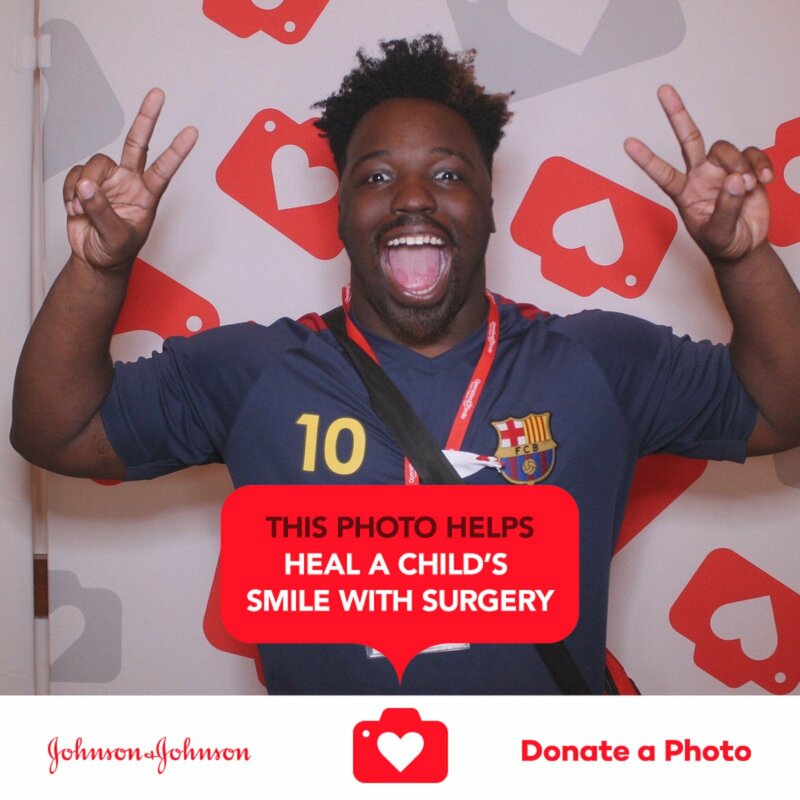 Throughout the week we used Johnson & Johnson’s Donate a Photo app to make a difference by raising money and awareness for Operation Smile and Until We Heal through the simple act of sharing a photo. I learned a lot that week, but the main thing I took away from my time at the conference was that the global lack of access to safe surgery will persist unless we raise awareness and collectively take the initiative to work toward a solution. By uniting youth from around the world through Until We Heal, Operation Smile is expanding beyond its mission sites and engaging youth in the challenge of bringing safe surgical care to everyone. My name is Reginald Land, I am a senior at Norfolk State University, a young entrepreneur and I have taken the pledge; I will not stop Until We Heal every child.